On a recent trip to a local co-op I wanted to get some salad dressing. With the summer like weather we’ve been having I’ve been incorporating a salad in to my daily lunch, the greens, carrots, radishes, and other stuff just makes for a great way to get a good dose of veggies. INGREDIENTS: FILTERED WATER, ORGANIC EXPELLER PRESSED SOYBEAN OIL, ORGANIC BALSAMIC VINEGAR, ORGANIC RED WINE VINEGAR, ORGANIC EXTRA VIRGIN OLIVE OIL, ORGANIC AGAVE NECTAR, SALT, ORGANIC MINCED GARLIC, ORGANIC BLACK PEPPER, ORGANIC OREGANO, ORGANIC BASIL, ORGANIC MARJORAM, ORGANIC ROSEMARY EXTRACT AND XANTHAN GUM (A NATURAL THICKENER). The classic flavor you crave enhanced by the highest quality ingredients; flavorful expelled pressed extra virgin olive oil and the finest aged balsamic vinegar come together to compliment a fresh salad with a taste that is undeniably homemade. 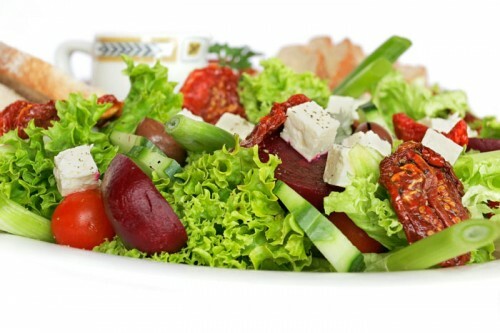 As always, our all organic dressing will satisfy your taste buds as well as your lifestyle. All flavors are USDA certified organic, gluten free, dairy free, vegan, and contain no added sugar. I’m not here to rip on the product, like I said, overall it’s good. I’ll probably even buy it again… or at least try other flavors… because while I do enjoy making my own dressings I like to have bottled ones on hand for the convenience of them, and since I don’t use them all the time I can justify the extra cost of the organics. BUT, this does show you that no matter what, you should always check the label to double check just what it is you’re getting.